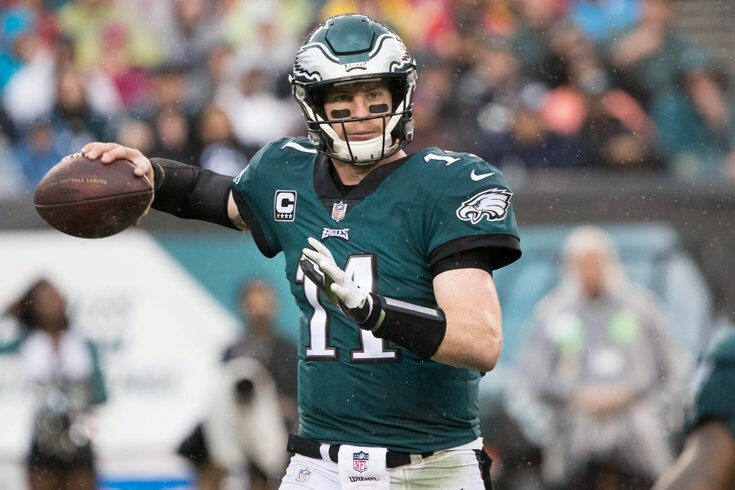 Philadelphia Eagles quarterback Carson Wentz made his debut on PFF's Top 101 list. Carson Wentz is a Pizza Hut fan, apparently. Soon after the chain announced Wednesday that it will replace Papa John's as the NFL's official pizza sponsor, the Eagles quarterback gave the move a thumbs up on Twitter. You a stuffed crust kinda guy? 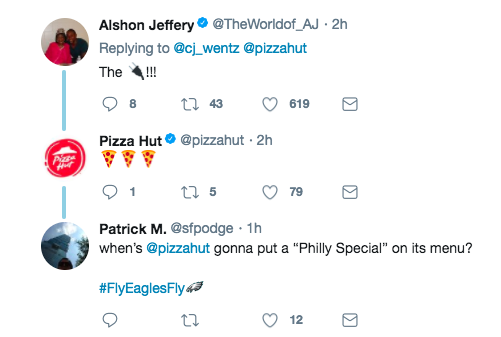 Pizza Hut did reply to Wentz, assuring him that it will always be there to satisfy the quarterback's needs for some chain pizza. Stuffed pizza, too, if he's into that sort of thing. The deal was announced one day after the league and Papa John's agreed to prematurely end its partnership, which hit the skids last fall when the chain's then-CEO John Schnatter blamed its declining sales on "poor leadership" within the NFL. In particular, Schattner suggested the league should have put a stop to players kneeling during the national anthem before games to protest police brutality and said the practice hurt the NFL's TV ratings, which in turn led to a decline in pizza sales. Schattner stepped down as CEO in December, about a month after making the controversial remarks. A press release announcing the multi-year agreement stated that Pizza Hut will have a "vast array of exclusive marketing rights, benefits and designations that will unmistakably connect the brand with the NFL and its teams, players, events, partners, properties and the many NFL experiences that capture the passion of consumers and football fans from all over the world." The deal is expected to run through the 2021 NFL season, ESPN reported.